This post about Reasons it is Time to Cut To Cord and Cancel Cable with Google Chromecast is sponsored by Best Buy. All opinions expressed are our own. Anyone else feel like their cable bill goes up every month even when you are cutting back on channels? I am tired of calling our cable company because of bad reception or to try to get the better deal they are currently offering. It is time my friends to consider cutting the cord. So what are your options when you decide to cut the cord? There are several products on the market to replace your cable box. 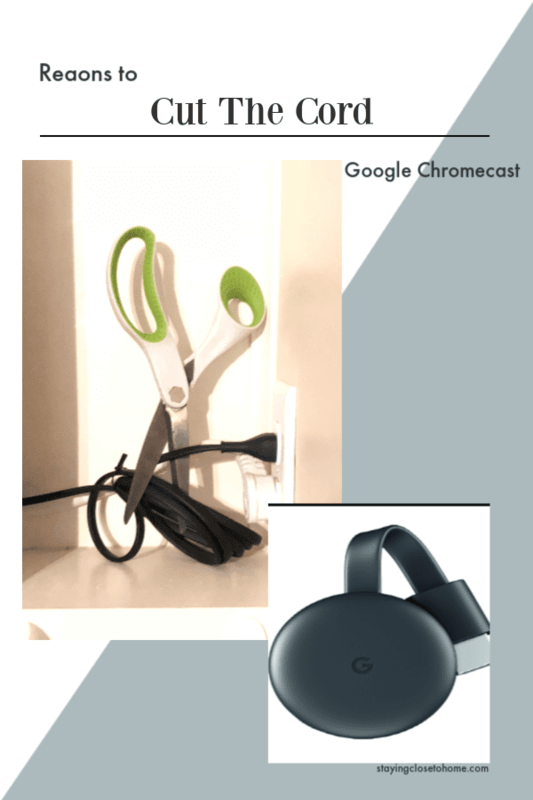 Today we are sharing the benefits of Google Chromecast. Plug Google Chromecast into the HDMI port on your TV and to power and stream your favorite entertainment right from your phone with just a tap. Watch shows, listen to playlists, and more. And while streaming, you can still use your phone as you normally do. So have I convinced you to stop being in the hands of your local cable company and cut your cord? ² Google Home, Chromecast, and compatible content required to cast to a TV using Google Home. Web-based services and content require high-speed Internet service. Some services may require a subscription.